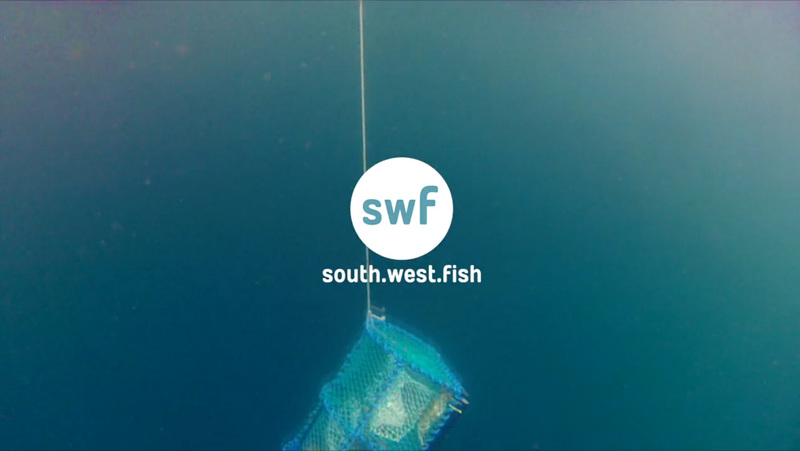 I did some video work recently for the swFish.co.uk website, you can see a few of my shots in this video, including the opening clip with the crab pot being pulled up into the boat. I was shooting with my Canon 60D in my Aquatech housing, with a GoPro HD Hero 2 attached to the top in the GoPro Dive housing. It’s the first time I’ve set up the 60D to shoot video in the housing, I’ve shot a lot of video on dry land and I’ve always been happy with the level of manual control and the results have been great, with the articulating screen and Magic Lantern firmware add on it’s a great tool for film makers and I know that a lot of the other shots in the video were also captured with a 60D. Unfortunately as it’s a basic housing and the South West (we shot the scenes in Plymouth Sound) is rarely blessed with predictable weather, I wasn’t able to take advantage of manual controls, so it was all on auto, it worked out OK but the bulk of the footage that got used in the end was from the GoPro mounted on top. When you don’t have time to set up or if you’ve only got access to limited controls in an unpredictable environment a DSLR is not the best tool for shooting video, for an interview or static shot they work great, but from now on it’s video with the GoPro and stills with the 60D when in the water. If you’ve got a few spare minutes check out the swFish.co.uk site, if you’re like me you use the coastal waters as a playground but centuries before anyone rode waves for fun there have been fishermen going to work on the ocean and helping to support and educate people about the local fishing industry is a great cause.